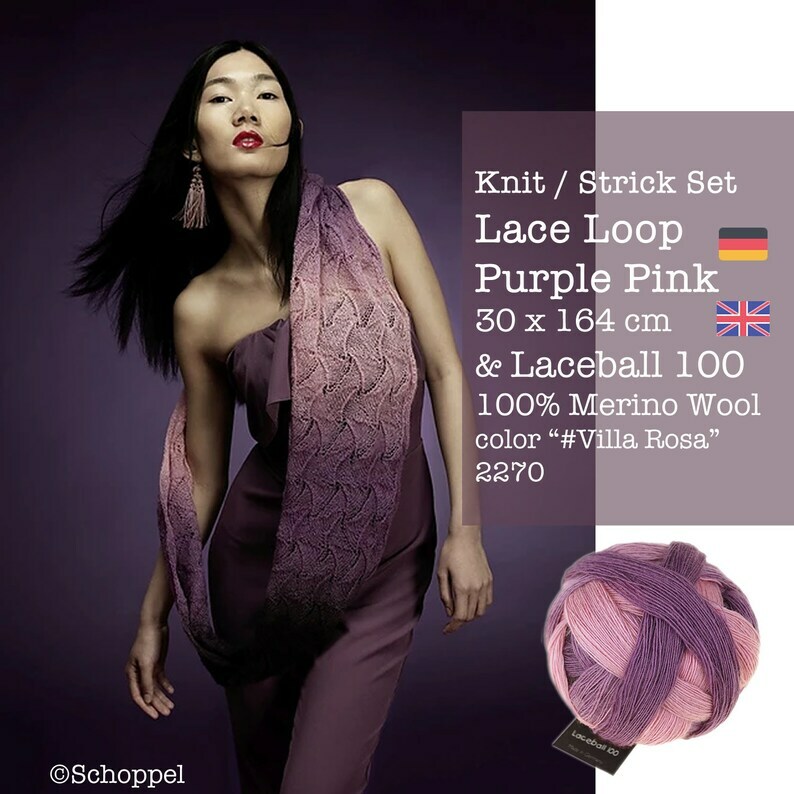 Knit your loop scarf "Lace Loop Purple Pink" - a wonderful project for Schoppel wool Laceball 100. 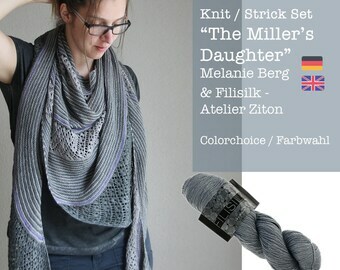 This pattern is perfect for knitting enthusiasts who like to knit fine yarn in the Lace pattern. ☞ 4.5 mm (approx. US 7) straight or circular needle. Or size needed to obtain gauge.